One of the coolest things about growing up in Lockport throughout the 1980s was walking to elementary school every day and cultivating great friendships while doing so. Unfortunately, kids today have mostly lost this advantage when they started closing schools like Washington Hunt, and changed the mission of Emmet Belknap to a younger audience who can’t walk that far. When I started going to kindergarten in the fall of 1979, my mother walked with me for the first week or so. During that time, we met with other moms and fellow kindergarteners in order to familiarize ourselves with each other. After that first week, it was time for the boys to be men and trek to Washington Hunt without our moms. My group was Ben Benedetti, Brian Stevens, Joey Anderson, and Adam Wertman. Ben came to my house from his, and together we went to Brian’s, and then to Harrison Avenue where we met Joey and Adam. 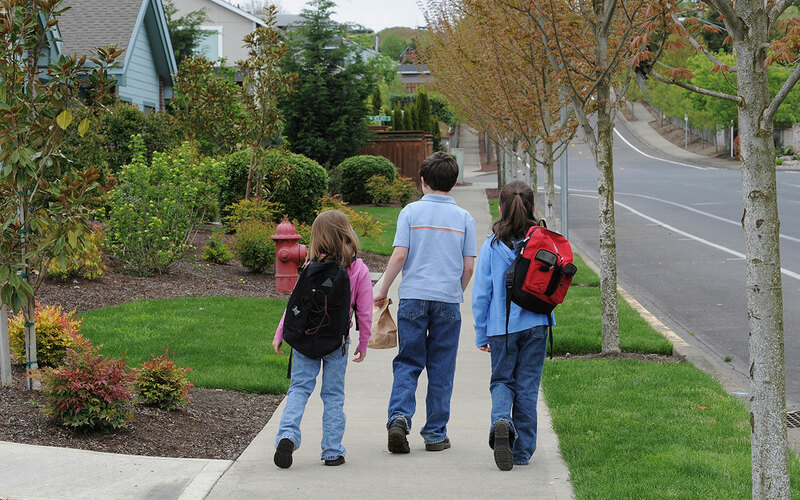 At any rate, there were definitely some friendships formed in those early days of walking to school. These days, when I stop into Brian’s workplace downtown, it’s generally a ball of laughs. Sometimes, I think his boss may not like our boisterousness, but he generally ends up with a sale. Just before we started sixth grade, the Porth and Stuckey clan, who lived across the street from me, moved. In their place, my Boy Scout friend, Matt Broecker, moved in. We were in the same grade and made fast friends on our walks to Washington Hunt for that one year. We walked together to Emmet Belknap for seventh, eighth, and ninth grades. On those walks we, too, formed a great friendship. Added to our duo after a year at Emmet, was Erik Woodcock, who was one year younger. The three of us spent a lot of time together in addition to walking to and from school. There were games in Mott’s Field behind Matt’s house, or days spent exploring the woods along the creek over to the UAW hall. We also spent many days at Erik’s house since it was on the Bob-O-Link culdesac. Hockey, football, baseball, and other sports were our forte. We spent many, many days outside. When we went to the high school, we all rode the bus together. When I promoted from ninth grade to tenth grade, the school district changed the school system. The ninth graders came with us up to the high school. That meant the three of us who walked to school through Emmet, would now ride the bus together, too. Well, at least for a little while. Once Matt and I got licenses, we would drive to school. Erik would ride with us. Neither of us could get a parking permit at the school, so we’d park on Lincolnshire and walk across the field to the school. Somehow, we never got a ticket for parking over there. I’m certain that the neighbors and the police are far more diligent about that these days. Still, over the course of two years at Emmet and three years at the high school, the three of us went to school together everyday. It formed great friendships. My kids started out walking to school when they still attended Washington Hunt. On bad weather days, or days that I had to be to work immediately afterwards, I would drop them off. On good days, we’d walk. And there would be other parents and kids who walked. The wonderful thing about that was we as parents were far more attuned to what was going on around the school than we are now that we simply put the kids on a bus. As parents waiting at the school, we all got to know each other. Talking with them day in and day out, we achieved a level of comfort, which, if something was awry, we’d notice it immediately. Also, the principal would be outside, and we could talk with him, as well as some of the teachers. It was all very informal. Our neighborhood schools were a community unto themselves. We had each others’ backs. These days, we send our kids off on a bus. We miss out on the interaction with the teachers and administration. Sure, we have electronic communications with all of them, but nuance can never be replicated with a sterile email. I believe that our neighborhood schools were a richer educational experience...and a safer one. Even though I stayed in the same neighborhood in which I grew up, everyone else has moved away. I do see Erik once in awhile at the grocery store. Matt moved to Las Vegas and Phoenix. I still occasionally chat with him on Facebook. Even though I haven’t seen him in twenty years, I guarantee if we got back together, it would be like no time had passed. There are just those kinds of friendships. As for my earliest walking friends from kindergarten, I still see them all. No matter how far we’ve roamed from each other, we always have time for a quick hello and lots of laughs. Especially with Brian. He likes to laugh. I like to laugh with him. Craig Bacon has watched his circle of friends ebb and grow over the years. Throughout it all, he’s always found old friends ready to laugh about the good, old days.